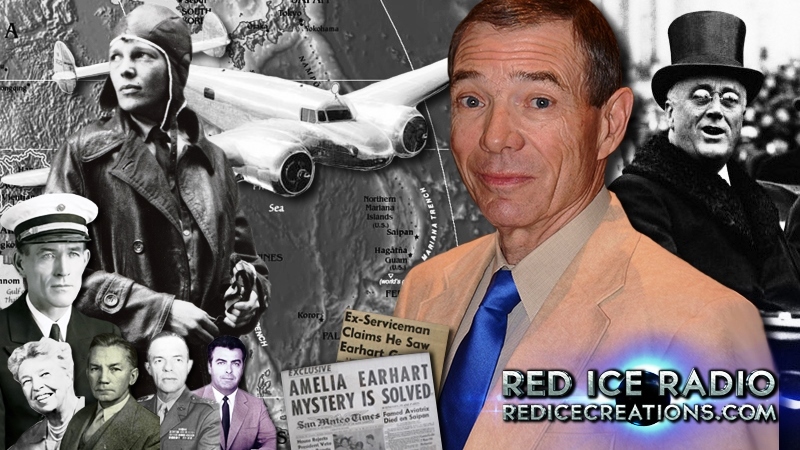 Once again Mike Campbell enlightens more radio listeners to the *TRUTH & *FACTS of Amelia Earhart’s landing in the Marshall Islands and her imprisonment & death at the hands of the Japanese. So why aren’t the American News Networks jumping all over this story??? Could it be our TRUSTED government and it’s censorship is preventing all this? WHY YES! They don’t want us to know of it’s clandestine activities against Japan prior to WW2, nor it’s involvement with Amelia Earhart’s around the world flight; asking her to observe, survey and gather intelligence in off limit, Japanese territories and FDR’s anger of Amelia being found out. The networks will deny any knowledge of this and continue to suppress the *TRUTH & *FACTS. Dare I say “FOX NEWS – TIGHAR – Gillespie’s follies – Hillary Clinton”? I think we are smarter than these folks – don’t you? Yes, Doug Mills, we are smarter than that. But, what the hell is wrong with the rest of these idiots? Every person I’ve loaned my books to, starting w/Goerner’s, have come away w/a whole new opinion. Soooooo? Start reading, folks!!! Unfortunately I could not listen to the second hour. They asked for a paid subscription. 😦 and being in Turkey, that in Euro is quiet expensive for me. I will listen though if the 2nd hour is uploaded in YouTube. But what can I say? Mr. Campbell did it again! Now more people learnt about the truth. Thank you! Donna, Exactly! If people don’t read, they will never *LEARN the *TRUTH & *FACTS of Amelia Earhart’s imprisonment, torture & death on Saipan by the Japanese. Political propaganda is alive & well and the networks who support such crash & sank fibs, falsehoods & lies. Let’s crash & sink their their propaganda airplane and for GOOD!